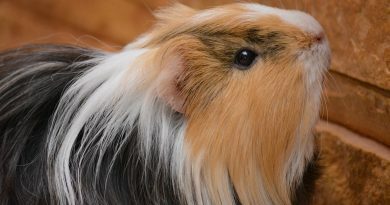 What should I look for when choosing guinea pigs for breeding? The most important thing is a record of good health for both potential parents. It is also preferable if their parents lived long and healthy lives. Look for good eyes and coat, quick alert movements and a healthy appetite. 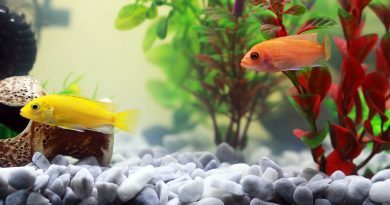 How old should a breeding pair be? The ideal age to begin breeding is at 5 to 6 months old. You should not breed from sows over 10 months old. When older sows are asked to breed, there is a possibility that her pelvic bone will have fused together causing a condition known as dystocia. This can be fatal fore both mother and young. When a sow has a litter early in life, her bones never fuse – allowing her to reproduce past this 10 month barrier. What sort of cage is best? If indoors, use a pen of around 1m by 1m. The sides should be around 30cm high. If they are to be housed outdoors, have a similar sized cage but try to accommodate it inside a shed or outhouse. What time of year is best for breeding? It is always best to try and plan for the young to arrive in late spring or early summer. In the wild, there is far more food available at this time, and domestic cavies are still in keeping with this breeding clock. When will the female be ready? The sow’s oestrus cycle is every 15 to 17 days but she is only fertile for a few hours of every cycle. Because of this, keep the pair together for about 6 or 7 weeks to increase the chances of success. How will I be able to help? Do not handle the sow too much before birth. If you need to lift her, make sure you support her very well. The sow’s diet must be adjusted for her pregnancy: continue the normal diet but ensure that she gets enough calcium. Brown bread soaked in warm cow’s milk is a good way to provide this. Immediately after birth, make sure there is a bowl of warm milk and bread available to both mother and young. Should the father be present? The boar should be removed about 2 weeks before the young are due. Although he will not even think about harming the offspring, it is possible they may be hurt when he attempts to mate the sow a few hours after birth. How long is the gestation period? The average length of pregnancy is 65 to 75 days. Expect only 2 or 3 babies in the first litter and then perhaps between 3 and 6 in subsequent litters. How do I know that the young are healthy? The babies should weigh between 3 and 4 ounces, and should be lively and alert only a few hours after birth. They should make characteristic noises and will want to eat the same food as their mother in a matter of days. How long are the young suckled for? The usual length of time is around 3 weeks. Guinea pigs are born with enough reserves to last 24 hours without malnourishment, so don’t be alarmed if they do not suckle during this time. If they are not suckling after this, check to see if the sow is producing milk. If not, milk must be provided either by surrogate mother or by hand-rearing.